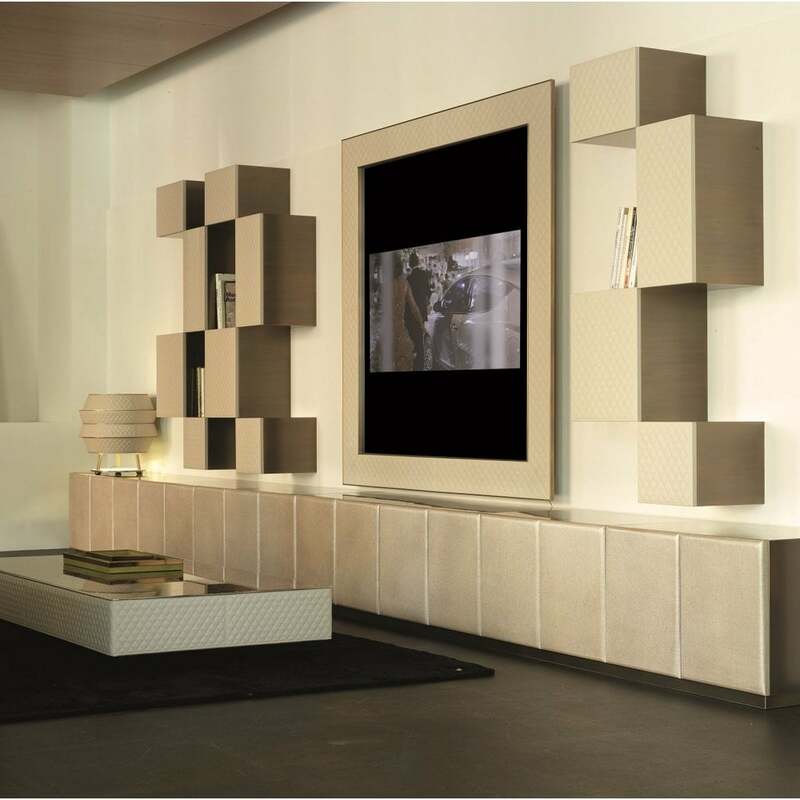 Create a modular entertainment centre with the Sidney Media Unit by Rugiano Interiors. Available in a two door, four door or six door design, the Sidney Media Unit is a versatile piece that suits a range of interior styles and sizes. With tailored detailing and high quality leather and precious wood finishes, Sidney takes inspiration from the haute couture fashion of Milan. This attention to detail and craftsmanship is synonymous with the Rugiano brand. Combine with the Ghost Media TV Unit to create a sophisticated entertainment suite that exudes Italian glamour. Available in three sizes, make an enquiry for more information.